Starting from Veraval at about 3:00 in the night, it stops at as many as 58 points or junctions before chugging its way into Trivandrum Central. Some of the important cities that it takes its passengers to are Rajkot Junction, Ahmedabad Junction, Vadodra Junction, Surat, Madgaon, Mangalore Junction, Thalassery, Kozhikode, Ernakulum Town and finally to its destination. Covering a total of 2709 kilometers, the train service is immaculate with pantry facilities for its passengers. Making its long journey to Trivandrum, it takes about three days and reaches at about 2:45 in the early morning on the third day. Since, this train connects some of the major cities; the railway authorities have provided some great provisions for the train. It starts from Veraval only on Thursdays but owing to its connectivity, it remains booked all the time. People wishing to make use of this train should procure advance bookings to make sure their journeys are comfortable and memorable. Plying on all days of the week is the ever so important VRL BCT Passenger Express which begins each day at 1:20 in the afternoon with its load of passengers who want to go to the dream city Mumbai. In its route fall several other important cities like Junagarh Junction, Bhakti Nagar, Ahmedabad Junction, Anand Junction, Vadodra Junction, Surat, Borivali, Dadar and finally Mumbai Central. To reach Mumbai, it covers 923 kilometers and takes about 2 days for the journey. It has two major stops- for about 30 minutes in Rajkot Junction and for 25 minutes at Ahmedabad Junction. For people wishing to go to Rajkot Junction, the train makes them reach the Junction by 5:15 in the evening and therefore most prefer the train for its accessibility to the important city. However, to reach Ahmedabad, it takes a few more hours but by 10:25 in the night, the train ushers in the Ahmedabad Junction which is about 432 kilometers from Veraval. Since, the departure timings of this train and its arrival timings in the two major cities are extremely conducive, people avail this train tremendously. 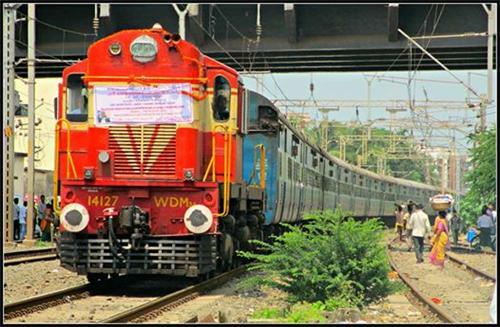 Just as the name suggests, the Veraval Pune Express takes passengers to the Pune Junction and does so in two days time. Covering a distance of 1066 kilometers, it is a very comfortable train which yet again pauses at various important junctions including Surat and Ahmedabad. For people who need to get down at Surat, the train suitably halts for a good ten minutes to facilitate them. The train timings are also very feasible since it starts early in the day and chugs all day to reach Surat at about 8:10 in the night. Bypassing other junctions like Rajkot, Ahmedabad and Vadodra among others, it is a safe and a very reliable train service. 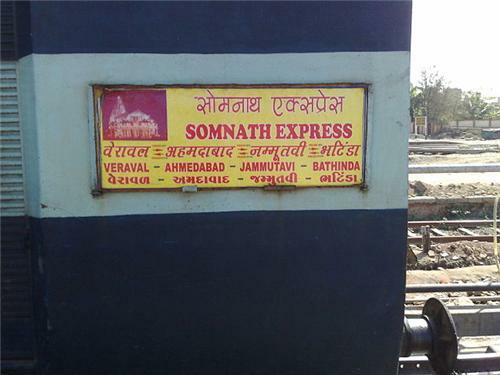 The Somnath Express leaves from Veraval to reach Ahmedabad Junction. It commences its journey at about 7:35 in the evening and makes a comparatively small one ending at Ahmedabad at around 3:55 in the night. But for people who wish to be swiftly into Ahmedabad, it is the most popular and suitable option. The distance covered in the journey is not more than 432 kilometers and is considered the most comfortable and timely. Since the influx of people moving to Ahmedabad from Veraval is substantial every day, catering to the need, the train plies each day and is reasonably busy all the time. As we summarize, these trains provide the best services and have all the amenities for the comfort of the passengers. Their departure and arrival timings are generally very punctual providing worthwhile experiences to the passengers. Although, there are road journeys too through buses and private vehicles yet people prefer the trains because they can save on time. The authorities have made all justified arrangements and can be lauded for their continued service to the people of Veraval and other tourists who come here.